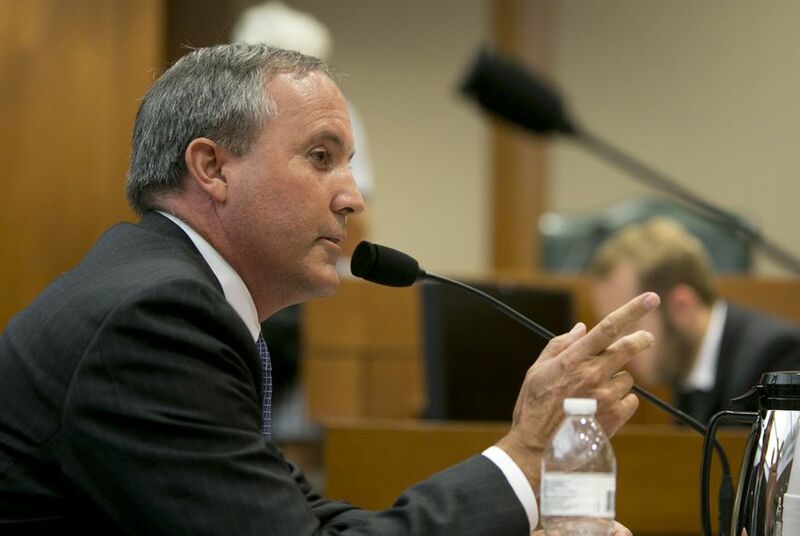 Attorney General Ken Paxton announced two separate lawsuits against Volkswagen Group of America, Inc. and subsidiary Audi of America, alleging violations of the state's consumer protection laws and clean air standards. "The lawsuits allege the companies misled Texas consumers by marketing and selling diesel vehicles as 'clean' while knowing that these vehicles were designed to meet emission standards only when being tested," a news release said. "Outside of the testing station they would emit up to 40 times the allowable standard for certain pollutants." About 32,000 diesel cars capable of emissions cheating have been sold in Texas, the release said, citing U.S. Environmental Protection Agency figures. That's compared to about 480,000 nationwide and 11 million globally. Volkswagen is already facing hundreds of class action lawsuits — seeking billions of dollars collectively — across the U.S. With his complaints, Paxton hops on a bandwagon of governments suing the manufacturer. In Texas, Harris County, with its roughly $100 million environmental lawsuit, went first last week, and the city of Dallas on Wednesday said it plans to follow, according to news reports. West Virginia appears to have been the country’s first state to take Volkswagen to court. Its Republican attorney general filed a suit last week accusing the company of violating that state’s environmental and consumer protection laws. With more than two-dozen states investigating the manufacturer’s diesel deceptions, other states may soon join the legal frenzy. Volkswagen has apologized and says it is cooperating with all authorities investigating its practices.